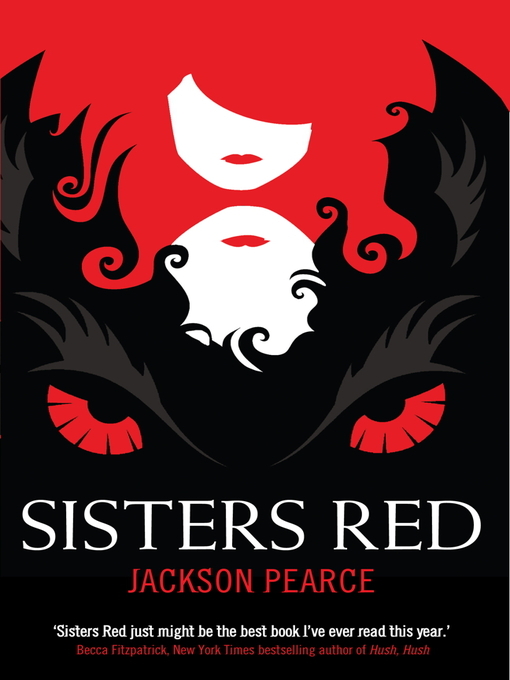 Book 20 in my challenge to read one book (I haven’t read before) a fortnight in 2012 is Sisters Red by Jackson Pearce. This is the second book I’ve read by Pearce – the first being Sweetly. Like Sweetly, this is a retelling of a classic fairytale, in this case Little Red Riding Hood. Only in Sisters Red, there are two Red Riding Hoods. We meet Scarlett and Rosie March as young girls, in a prologue that sees a creature breaking in to their house and killing their grandmother. Seven years on Scarlett, who was scarred fighting the creature – a Fenris – and Rosie are Fenris fighters. Basically they’re both something out of Buffy the Vampire Slayer – but Scarlett is more Faith while Rosie is a very, very reluctant Buffy. During an encounter with a Fenris the two find out that groups of Fenris are gathering in the nearby city of Ellison, because the phase is about to begin. The pair, along with childhood friend Silas (who is starting to see Rosie in a new light) move from their quiet cottage where they’ve been living since their grandmother died (how no one noticed two children were living alone, I don’t know), to Ellison at the behest of Scarlett, whose mission in life is to kill Fenris above all else. In Ellison they try to solve the puzzle of the phase, while Silas and Rosie’s relationship blossoms into romance. Sisters Red, for me, was a much better book than Sweetly, perhaps because the narrative switched between Scarlett and Rosie, giving an insight into both characters’ minds. The relationships are all well developed (although they are in Sweetly too), whether they are between siblings, friends or (potential) lovers. Scarlett’s single-minded determination to destroy the creatures who left her scarred, lonely and with the weight of the world on her is compelling, even though sometimes I just wanted to reach into the book, shake her and tell her it was okay to have some fun occasionally. Silas and Rosie are also fascinating to watch, and their relationship with each other is interlinked with their relationships with Scarlett. The mystery of the phase isn’t exactly a mystery (I guessed as soon as the phase was defined what it was leading to), but it‘s interesting to watch the trio try to figure out what is going on, unaware that it will affect them all deeply. The ending is more sweet than bittersweet, and left me with hope for all the characters. Sisters Red is an interesting take on the Little Red Riding Hood tale, with Pearce only borrowing slight elements from the original story, and really adding her own twist.